End the 2017 year the right way with the 2018 Mazda3 Sport at Island Mazda near the Jackson Heights, NJ area. Exhilaration has always run in the Mazda3 family. And the 2018 Mazda3 continues this legacy. The Mazda3’s already excellent performance and handling amplify the exhilaration with a precisely tuned 4-wheel independent suspension system. Plus, it comes with your choice of manual or automatic transmissions powered by spirited 2.0-liter or 2.5-liter SKYACTIV®-G gasoline engines, with the 2.5-liter offering 184 horsepower and 185 lb-ft of torque. Mazda developed a new technology, SKYACTIV-VEHICLE DYNAMICS with G-Vectoring Control, to help achieve a smoother, less fatiguing drive. When cornering, on initial turn-in and throughout, the system works seamlessly by adjusting power delivery and shifting vehicle weight. The effect is subtle, but how you feel after a great drive isn’t. Why go to these lengths? Because Mazda believes no detail is too small when Driving Matters. When Mazda set out to design the Mazda3 cabin, they did it with the driver in mind – each step of the way. They considered every detail that could make the driving experience better, from the seats, center console, full-color Activ, Driving Display and instrument panel, down to the door pockets and handles. The goal was to create a more sophisticated, intuitive interior that revolves around the driver. 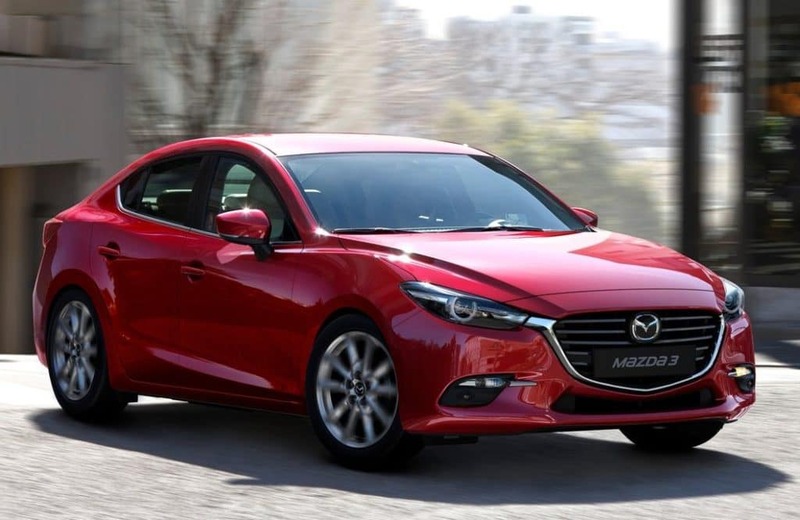 Hurry over to Island Mazda near the Jackson Heights, NJ area to test drive the 2018 Mazda3.